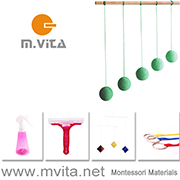 A Learning Tower or Kitchen Helper is often recommended to young Montessori families. When my eldest was about eighteen months old I remember wondering it if was worth it - they are such a big purchase. There are two main reasons I decided it was worth it. Safety - step stools, chairs can be used by children to access the kitchen bench. However at eighteen months or even younger I wanted my children to concentrate on what they are doing with their hands, not having to worry about their balance. I wanted to be able to step away from them and get something out of the fridge or off the stove. Only one fall could damage their confidence in the kitchen, damage my confidence as a parent and quite possibly hurt the child. All of these kitchen helpers offer a wide, stable step and supportive sides for the child. The second is comfort - I want my children to love being in the kitchen, everyday, many times a day. The more comfortable they are the better. After a couple of months of considering and when the time was right I ordered the Little Helper Fun Pod. There are pros and cons of all the kitchen helpers but we have enjoyed the Fun Pod for over five years now and my second son Otis is using it three or four (if not more) times a day. In the families I know the Learning Tower is the most popular however I liked that the Fun Pod was a little smaller. I've listed all of the kitchen helper options that I am aware of below. Some can be purchased, others are DIY. 1. Learning Tower (here in Australia). As I have mentioned this is the most popular kitchen helper and usually the first one recommended to parents, it has a great reputation. It is the only option I am aware of that is currently available in Australia. It is wide enough to hold two small children. It is height adjustable and comes in many different colours. The child can independently get in and out of the tower. 2. Little Helper Fun Pod. This is my personal choice. It is smaller than the Learning Tower. It is very sturdy, height adjustable and I've always felt my children were very safe in it. Children need to be lifted in and out of the Fun Pod (Otis can climb in and out himself however this isn't recommended by the manufacturer). It does get dirty quickly when baking however wipes down easily. Is only suited to hold one child at a time. It's not light however can easily be moved around the kitchen/pushed out of the way. It fits/slides easily under our kitchen bench-top however because of it's feet will not push flush against something like our sink. 5. Kids Kitchen Helper Safety Tower (comprehensive review here). This one is set apart because it can fold up and put away for storage. 6. 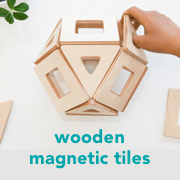 Kid's Kitchen Helper at 3D Woodworking Plans. 7. The Little Helper Tower at Ana White (DIY). I'm not into DIYs (mine would turn into a mess) however the Ana White site is great as you can see how others have used the plans and have photographed their results. It's fun to see what others have made. 8. My favourite design Woomo Child Montessori Learning Tower (Spain). This is only available in Spain but I think woodworkers could use it as design inspiration. 9. Etsy Classic Style Learning Tower by HeartScoopStudio. 10. Etsy Learning Tower by Modern Woodworker. 11. Children's Kitchen Helper Stand at Home, Naturally (Tutorial). Montessori en Casa has a fantastic comparison table for some of these kitchen helpers. I have previously listed Ikea hacks for the Bekväm Step Stool and they can be found on this post. Many of the kitchen helpers have resale value also. Craigslist is a great source of Learning Towers and today I found two on Gumtree in Brisbane. If I've missed a fantastic kitchen helper please let me know. Please also feel free to leave a review if you have tried any of these kitchen helpers - you might just help another parent!